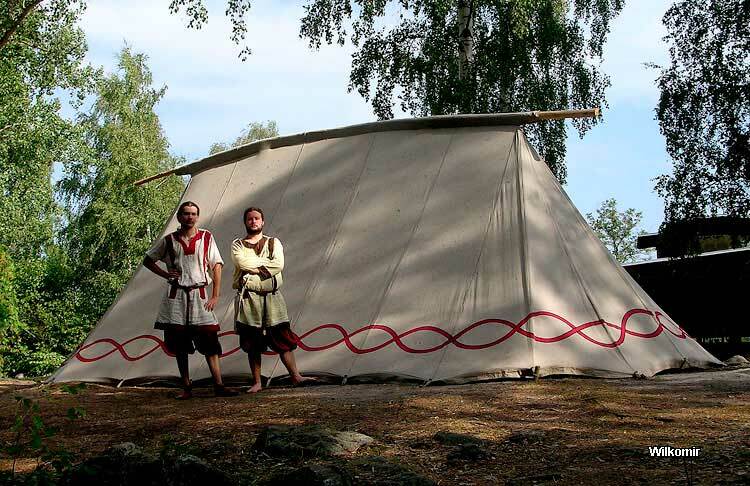 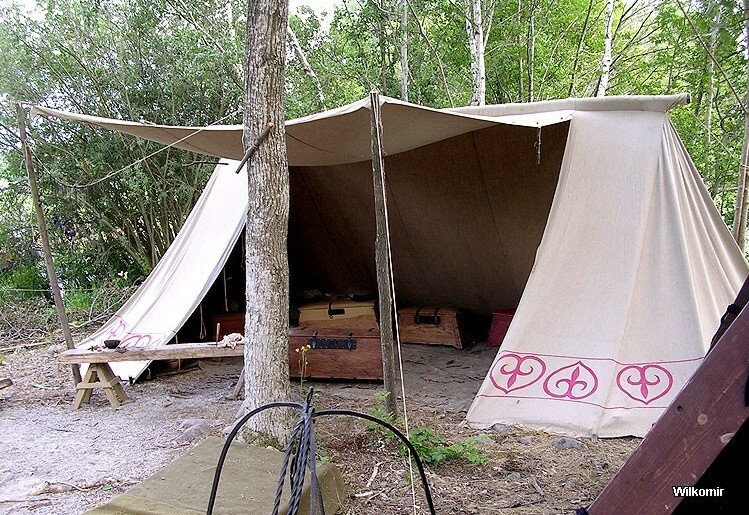 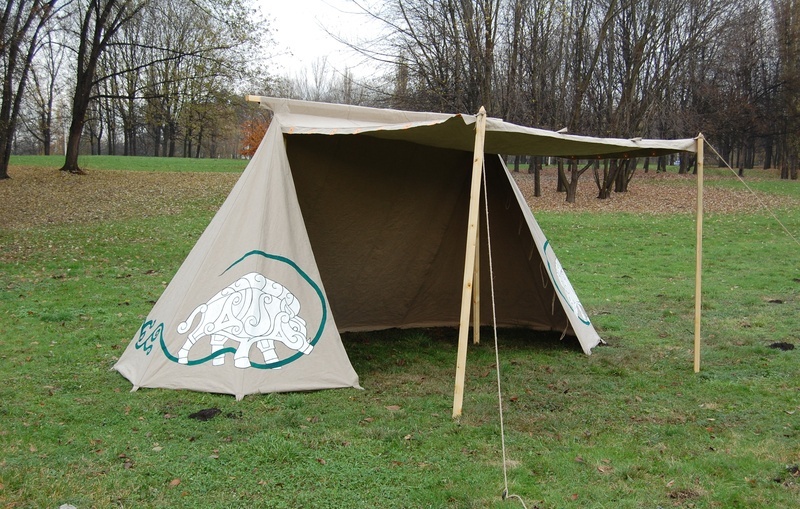 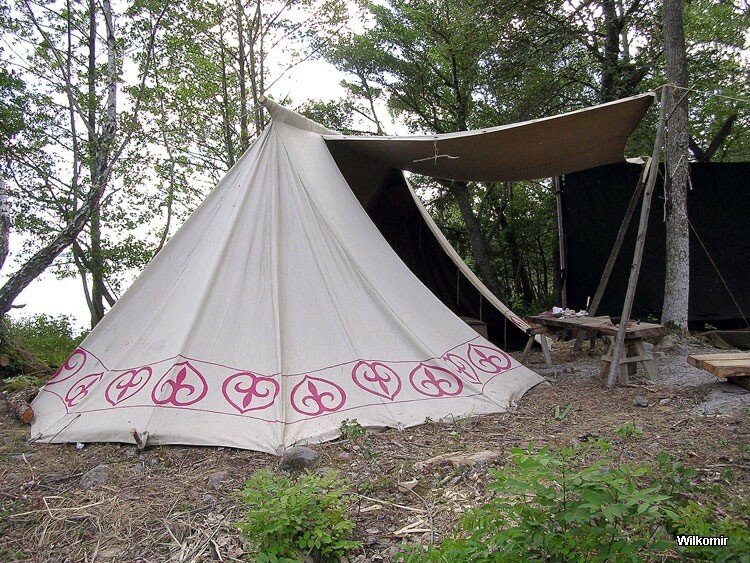 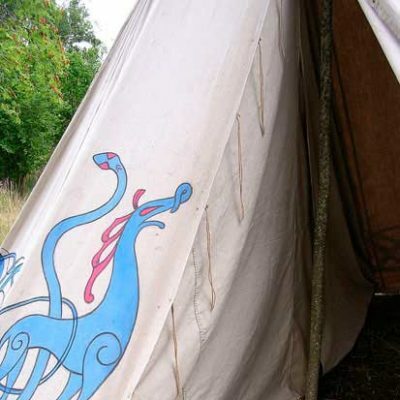 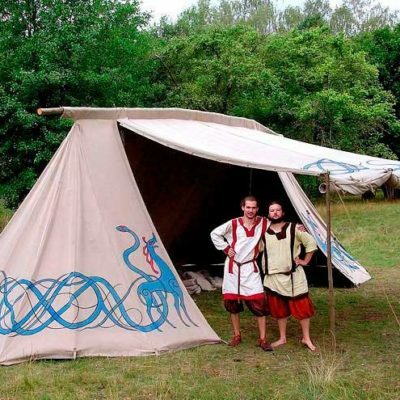 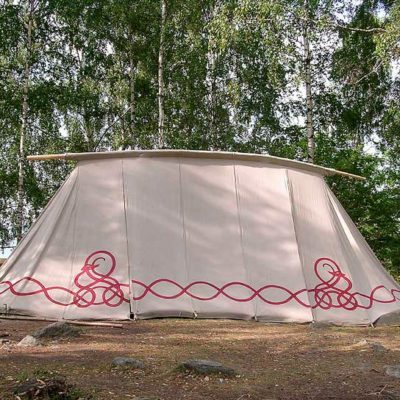 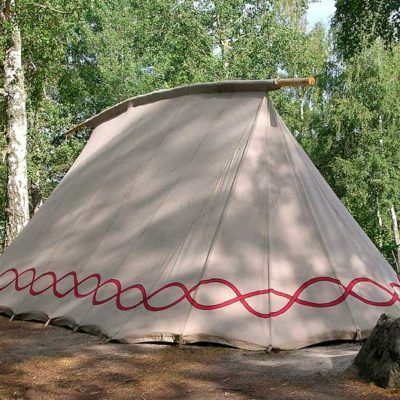 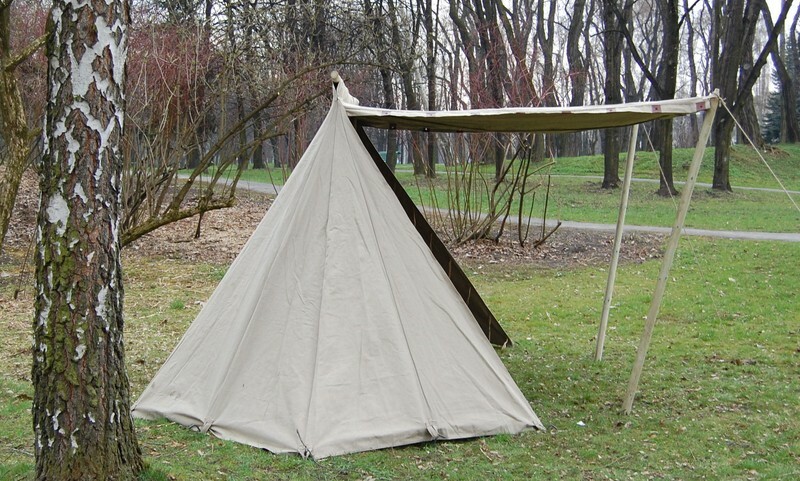 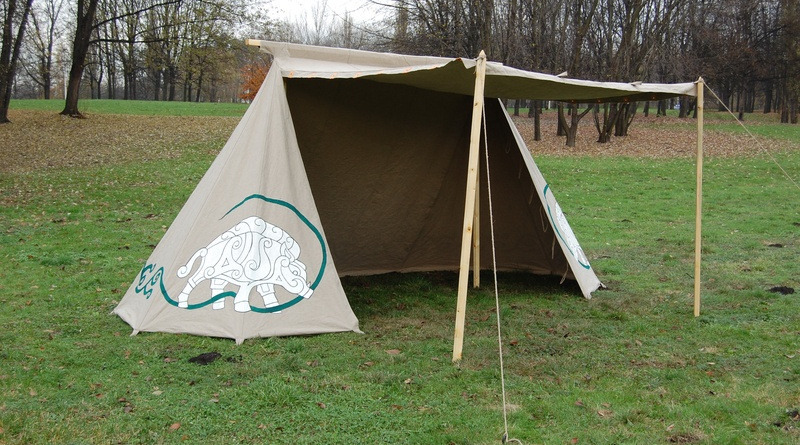 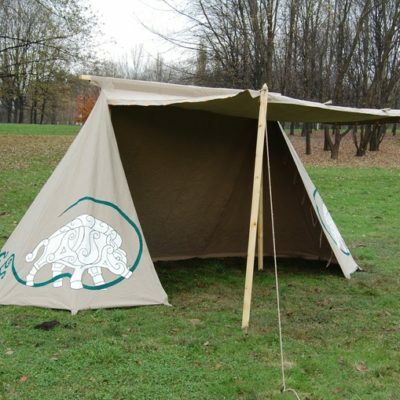 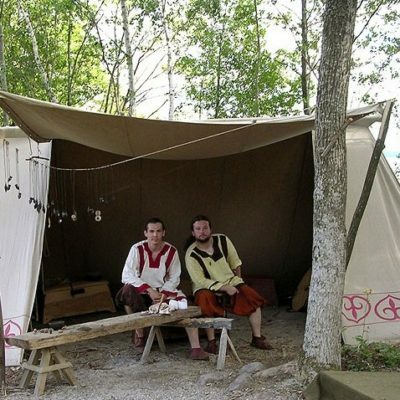 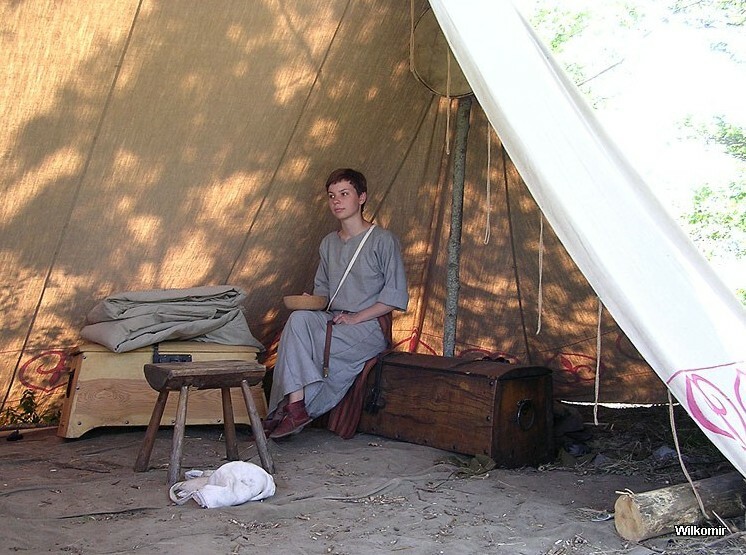 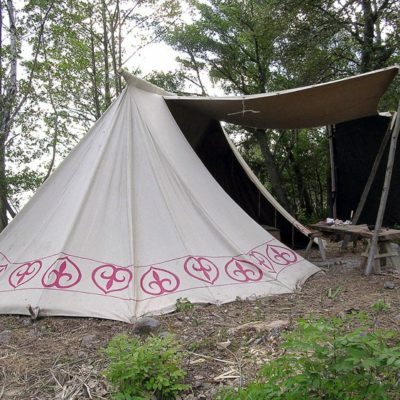 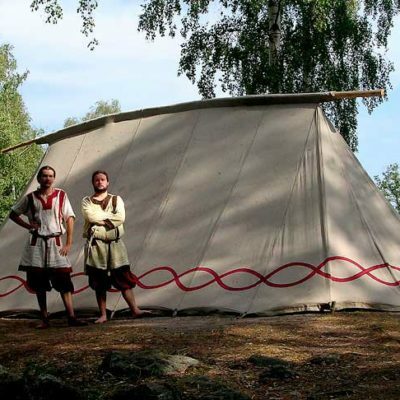 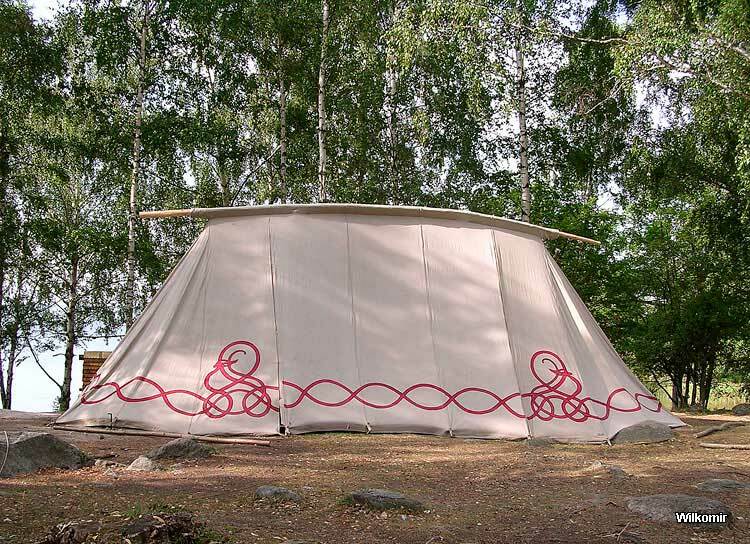 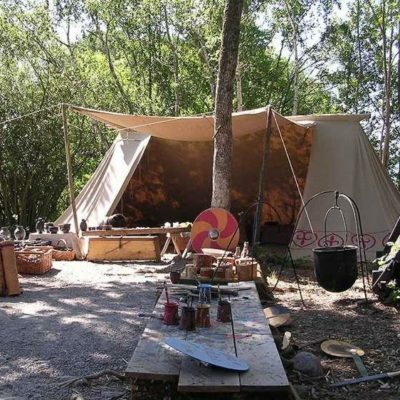 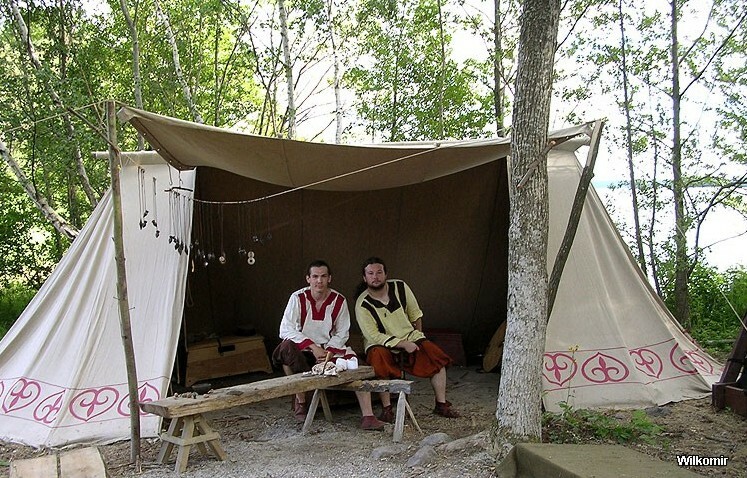 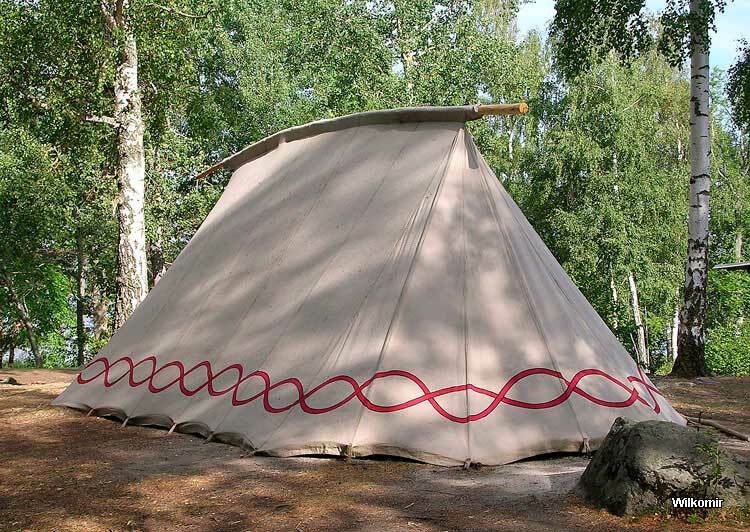 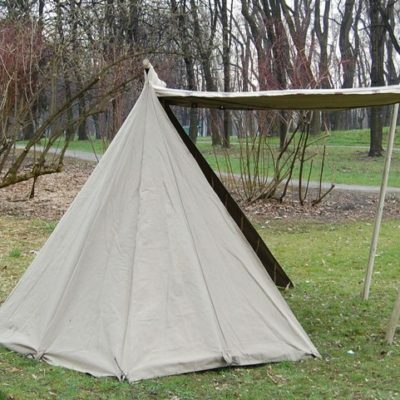 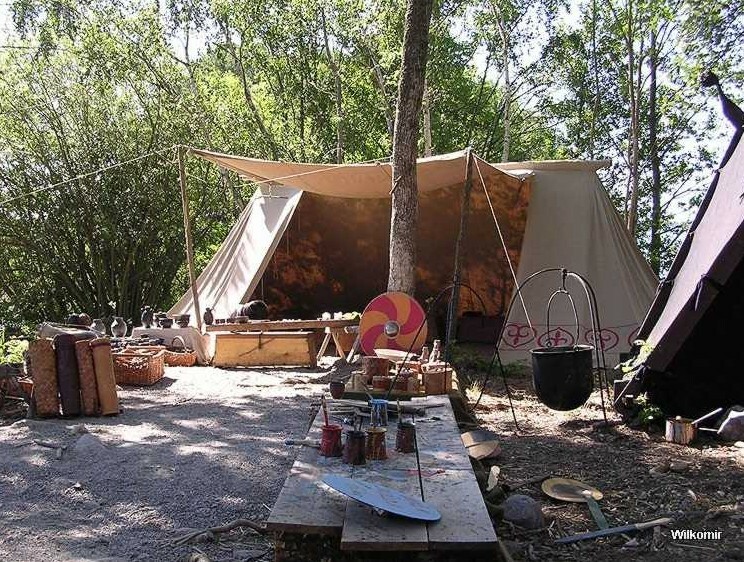 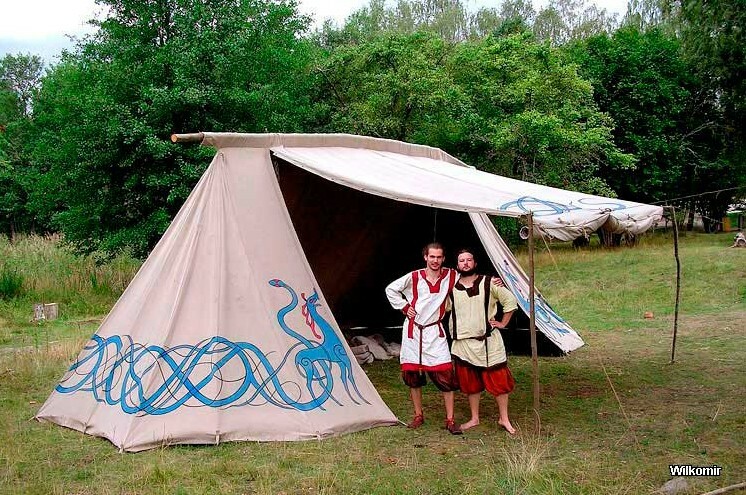 We also make tents stylized on historical, so-called market tents, intended for craftsmen and people trading at historical events. 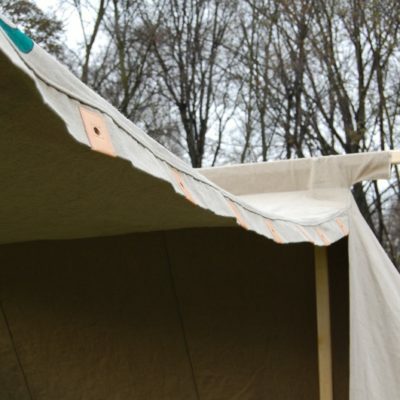 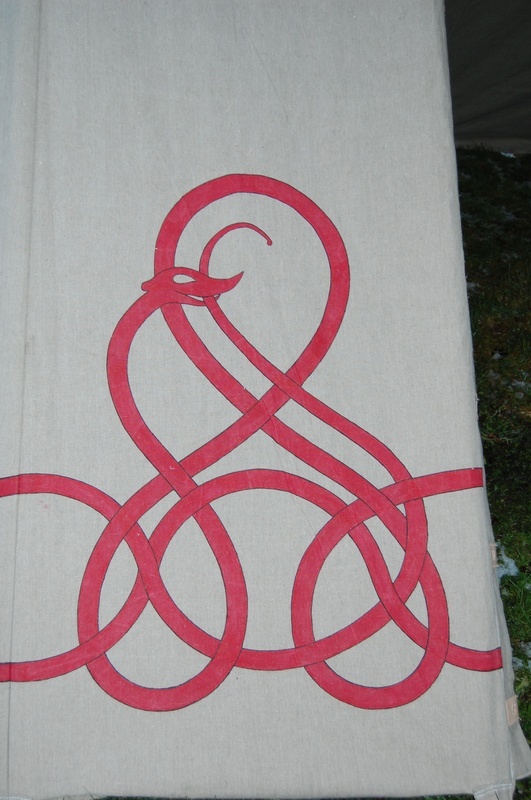 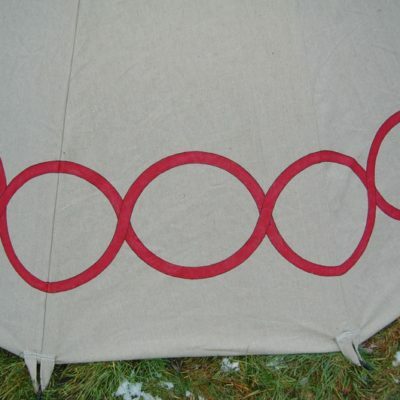 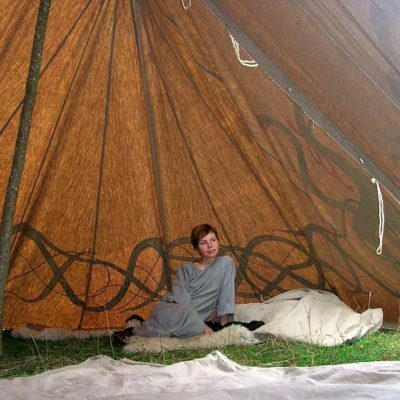 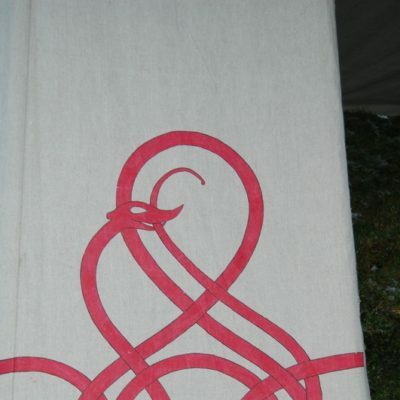 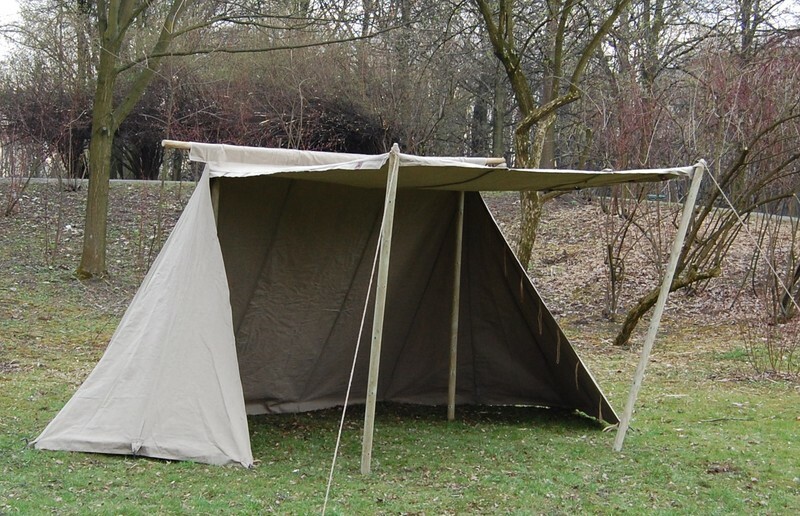 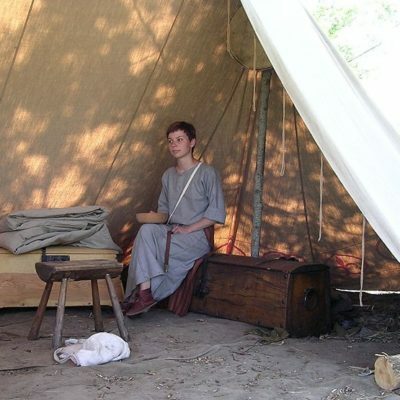 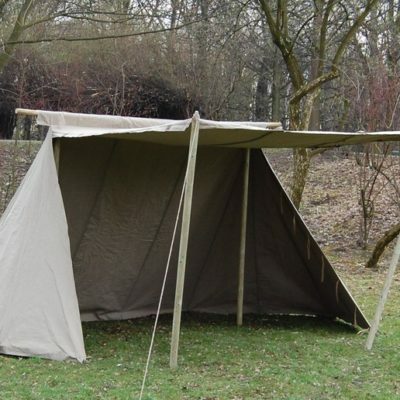 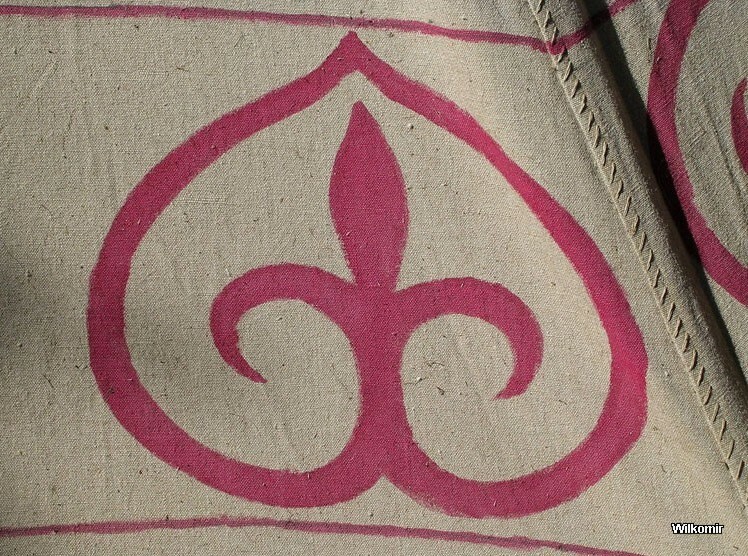 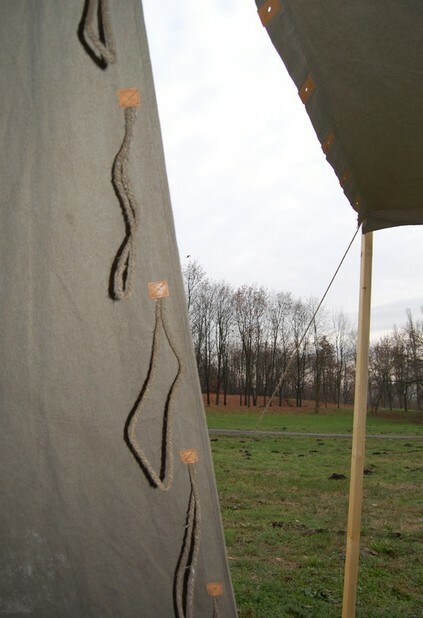 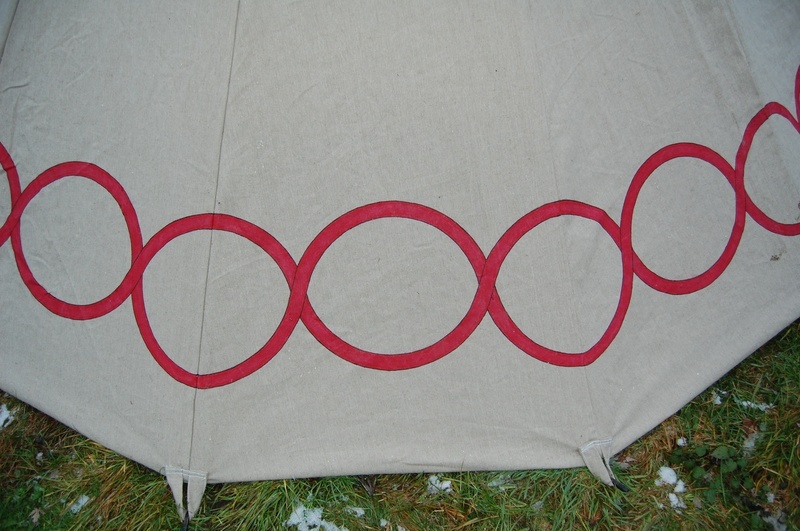 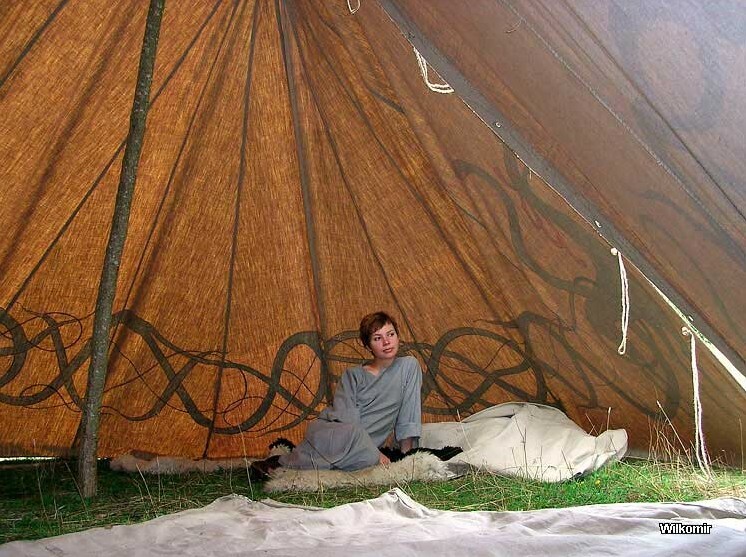 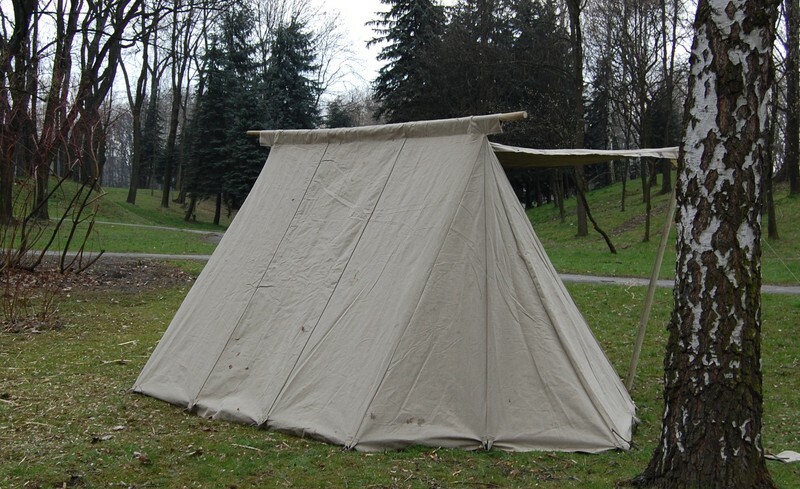 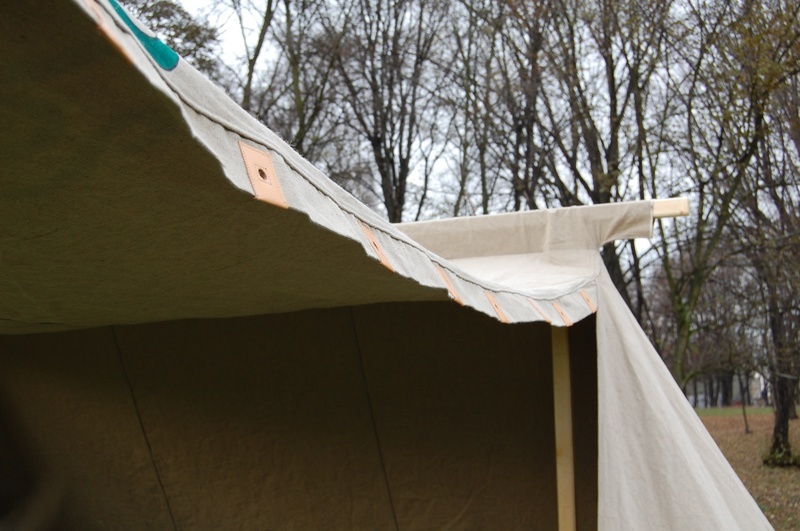 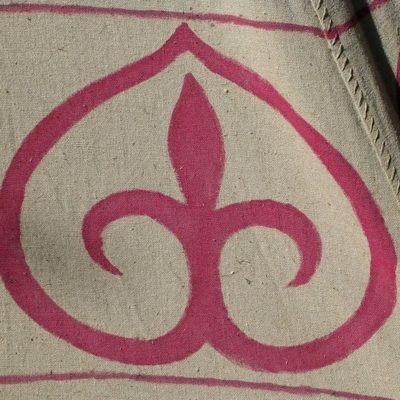 Market tent – made of linen and impregnated linen thread. 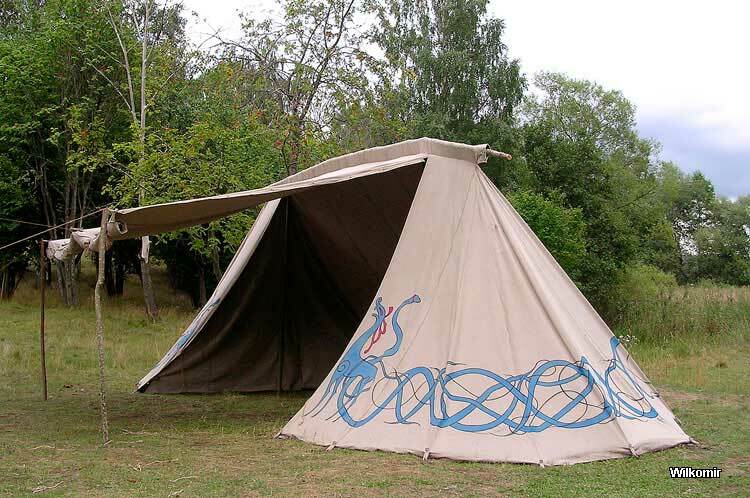 Handmade paintings – done with waterproof paints – imitating fabrics from Bayeux. 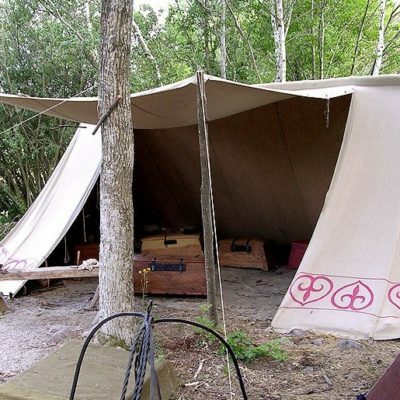 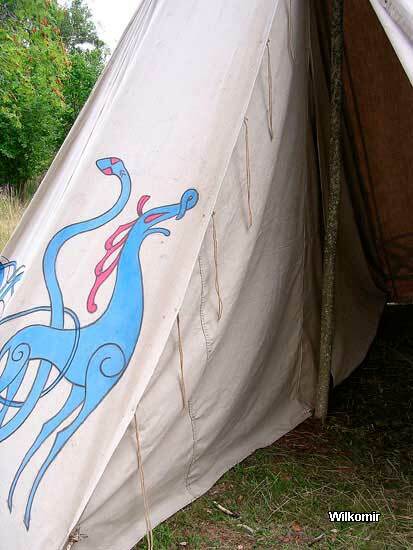 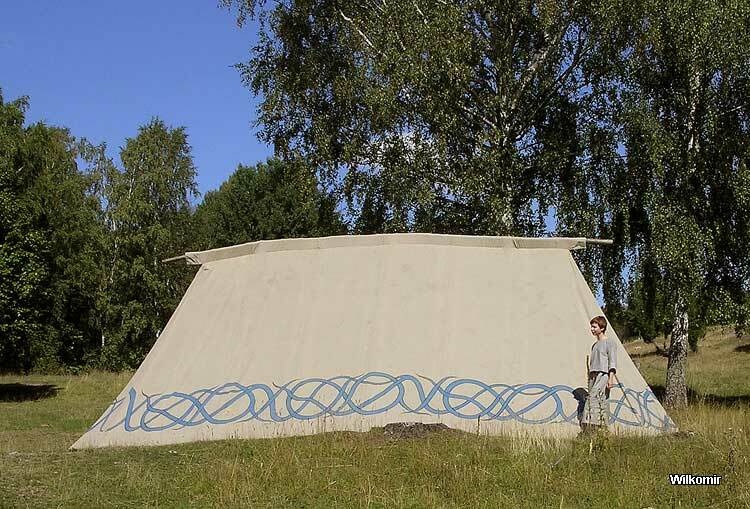 This historical tent is for 10-15 people. 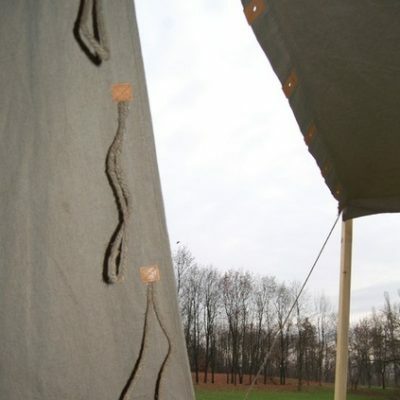 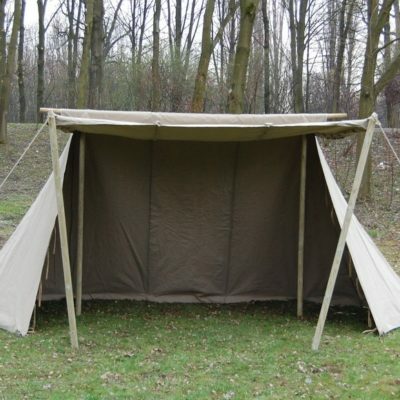 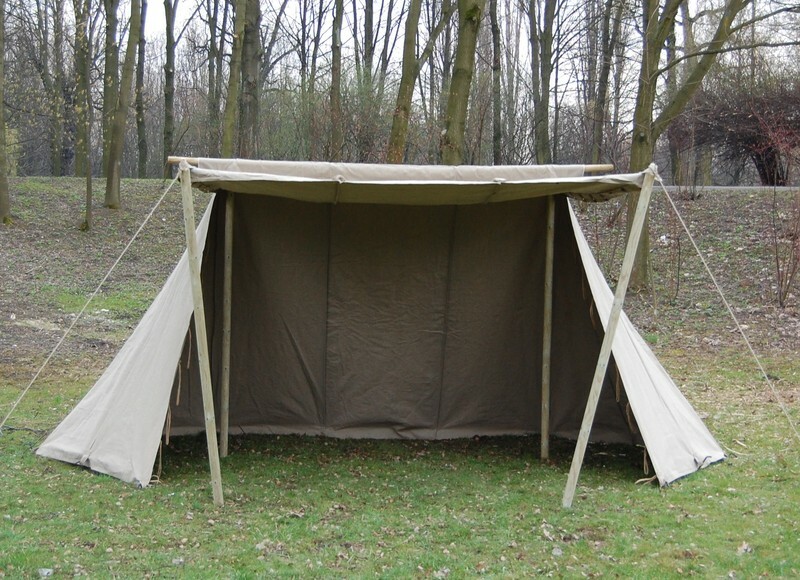 Market tent with extra curtain – made of linen and impregnated linen thread. 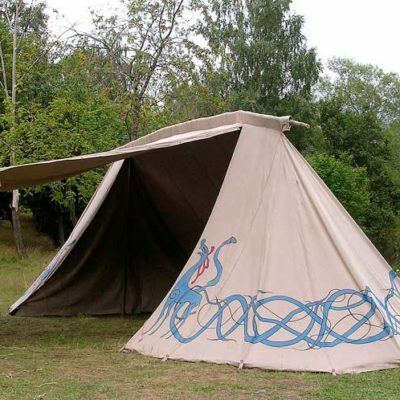 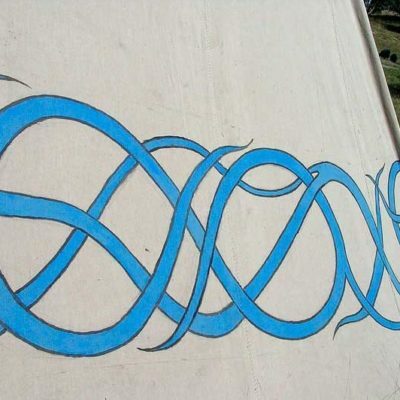 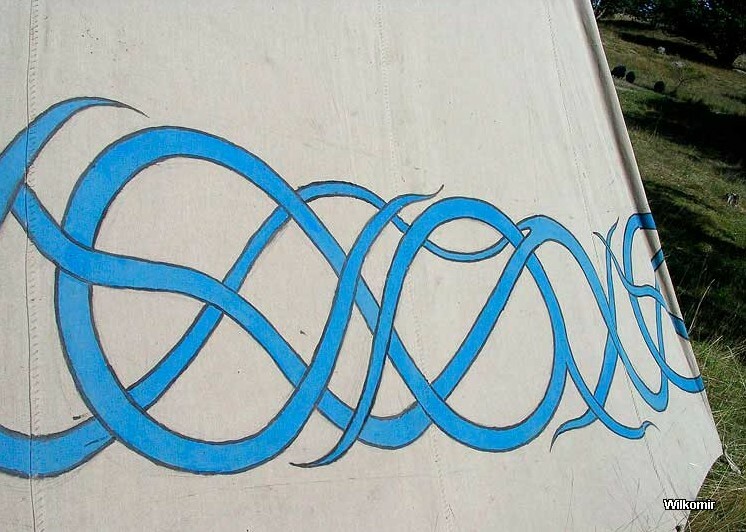 Handmade paintings done with waterproof paints. 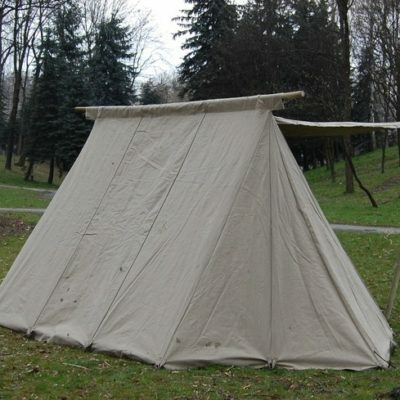 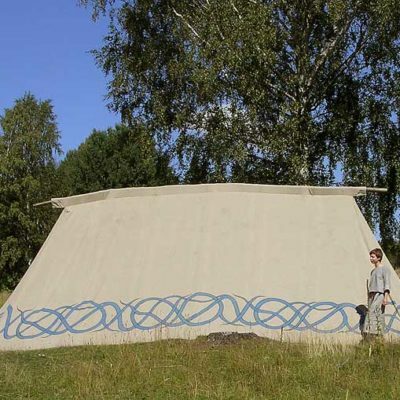 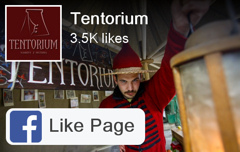 This historical tent is for 10-20 people.